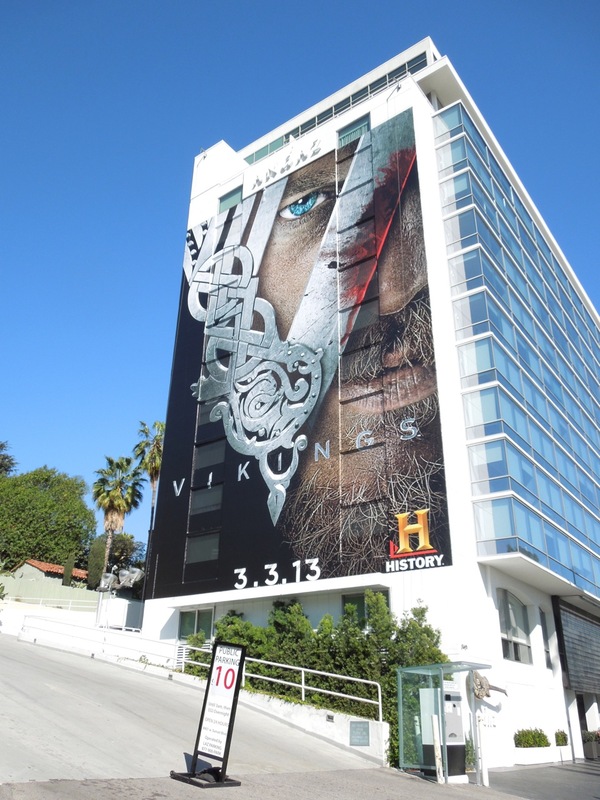 Can the History channel do with the Vikings what Showtime did for The Tudors? 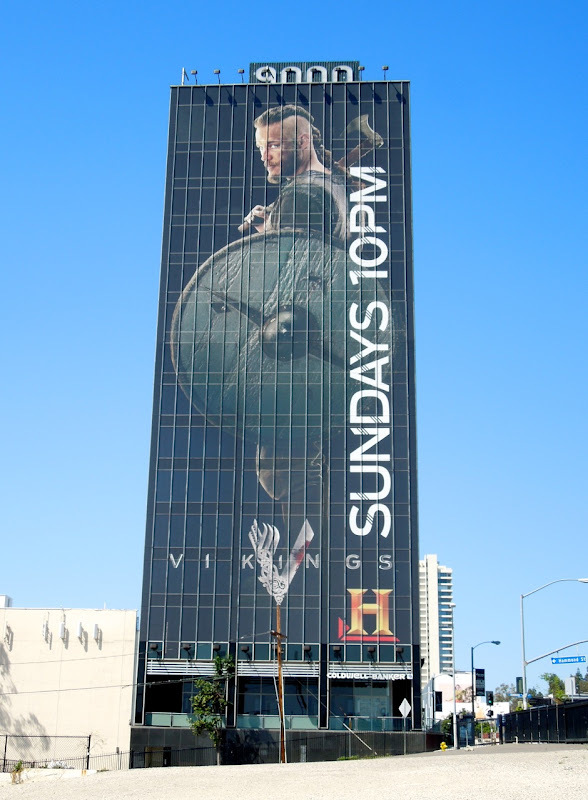 Obviously there'll probably lots more raiding and pillaging than royal formality and political machinations, but following the success of Game of Thrones sword and sorcery series, the time is probably ripe for the violent world of the mighty Norsemen. 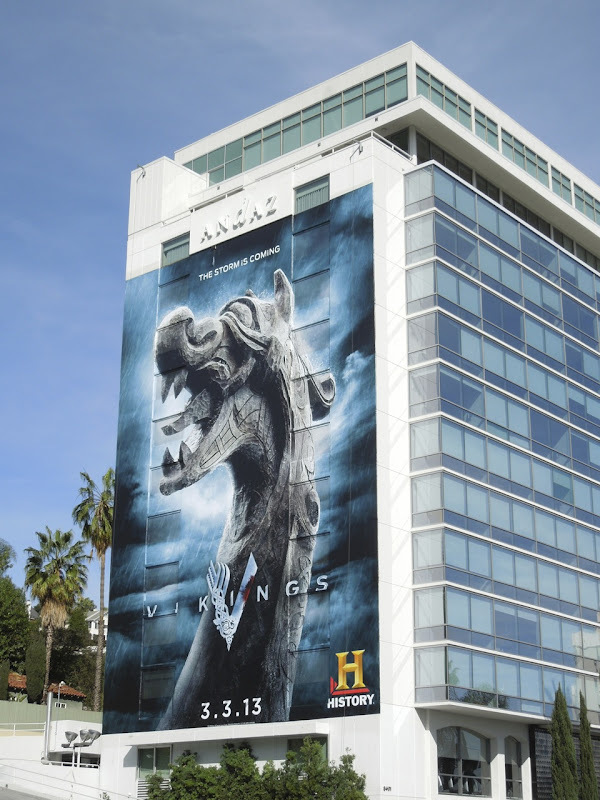 This longship prow creative immediately evokes the Medieval period of Nordic explorers and warriors, and in addition has a nice foreboding quality to it. 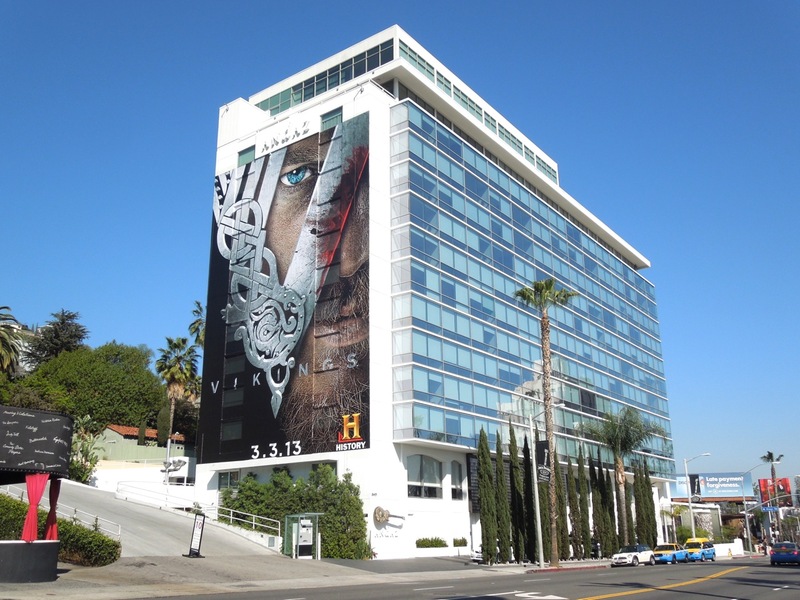 The standard creative was snapped along L.A.'s Sunset Strip on January 3, whilst the special extension version was spotted along Santa Monica Boulevard in West L.A. on January 18, 2013. 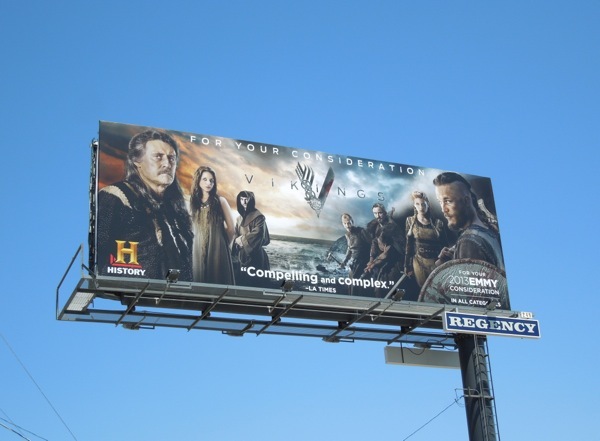 If you like these Vikings ads, be sure to also check out these billboards for The Tudors TV series. 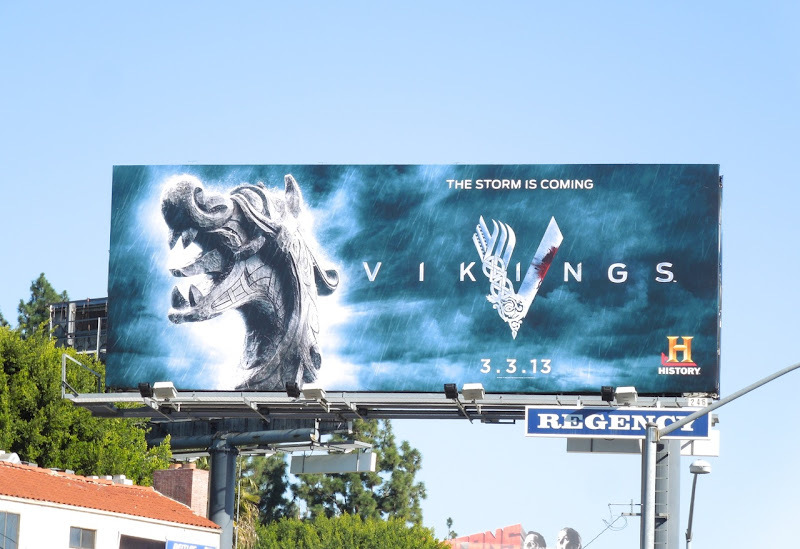 But don't forget, there's a storm coming. 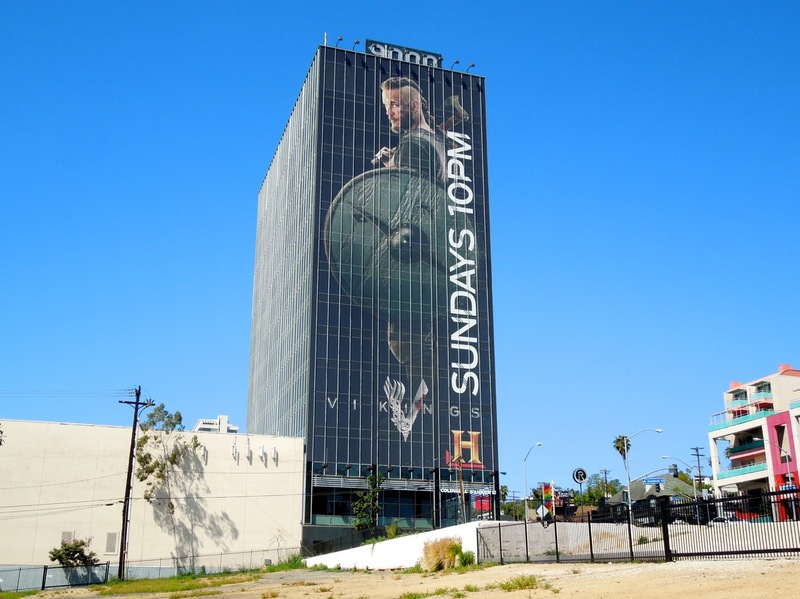 UPDATED: History channel certainly is going all out for its new series about Vikings. 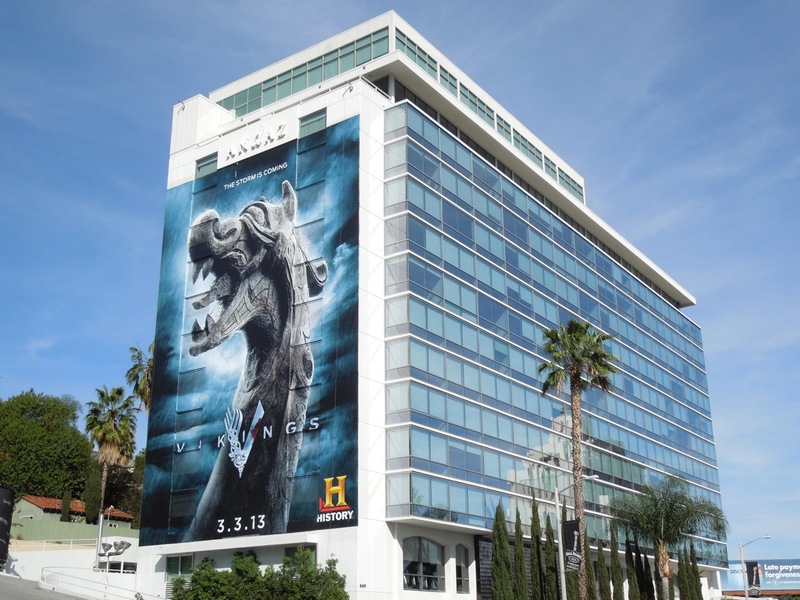 This super-sized billboard for the new show looks particularly striking on the side of the Andaz Hotel along Sunset Boulevard on February 3, 2013. 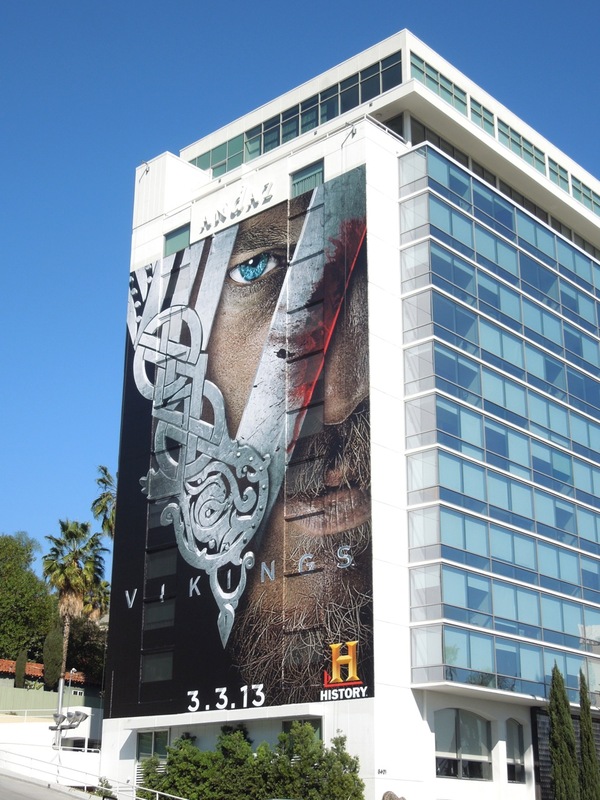 UPDATED: Now that we've been teased with these longship creatives at the start of the year, it looks like it's time for the real Vikings to appear. 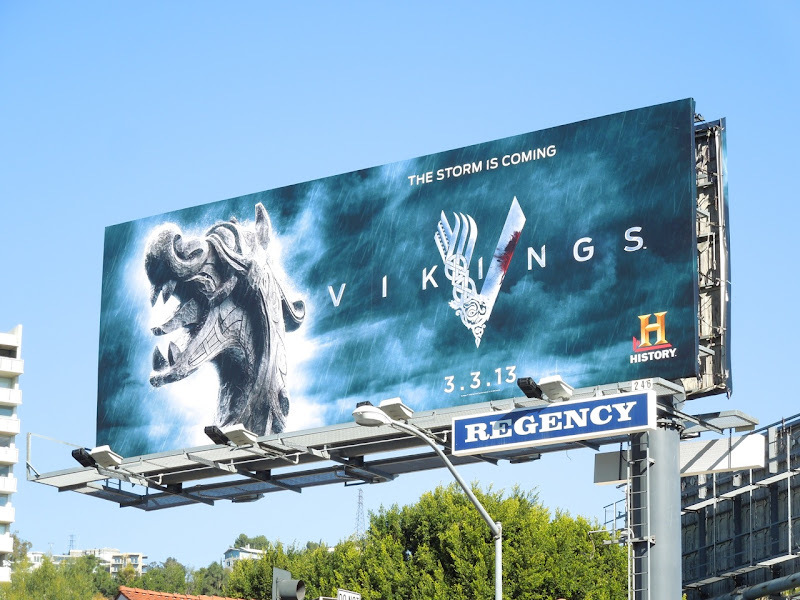 These new billboards for History's forthcoming series certainly grab your attention with their strong, piercing Nordic eyes staring out at passersby. 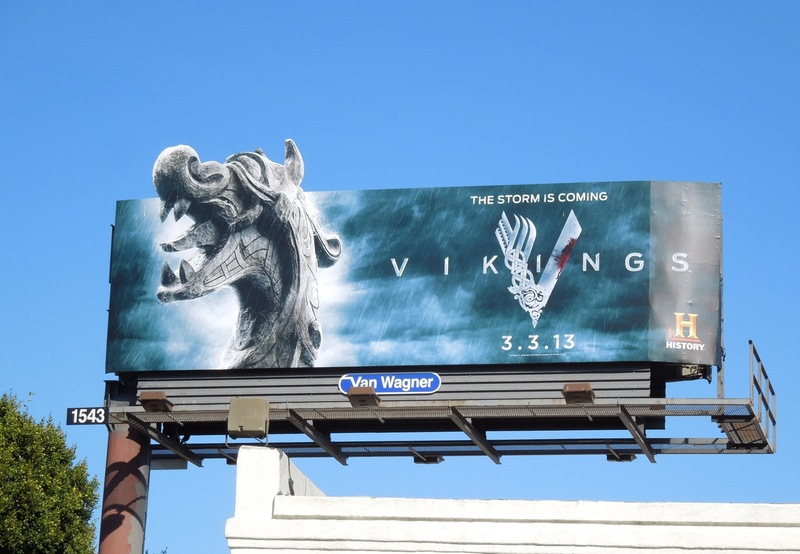 These cool TV creatives were snapped in the same locations as the teaser billboards along Sunset Boulevard on February 14, 2013. UPDATED: And if all those weren't enough, here's a special extension for this newest creative which works extremely well with the exaggerated 'V'. 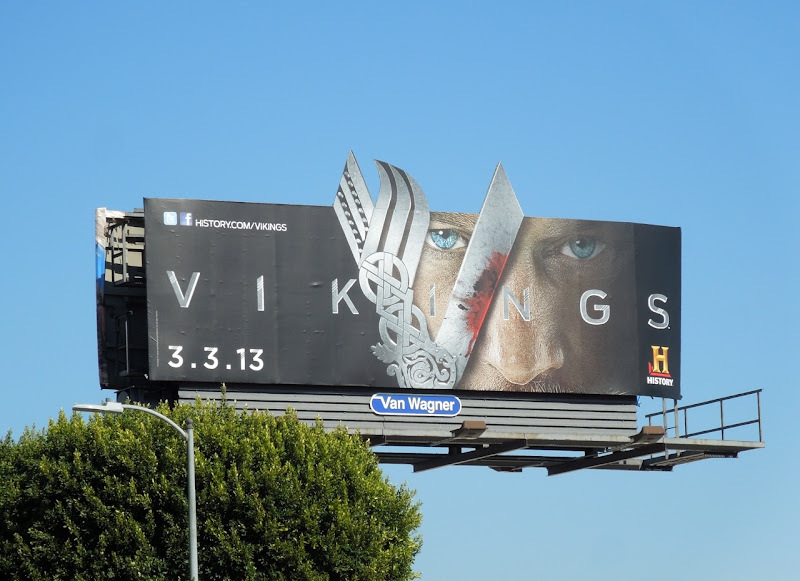 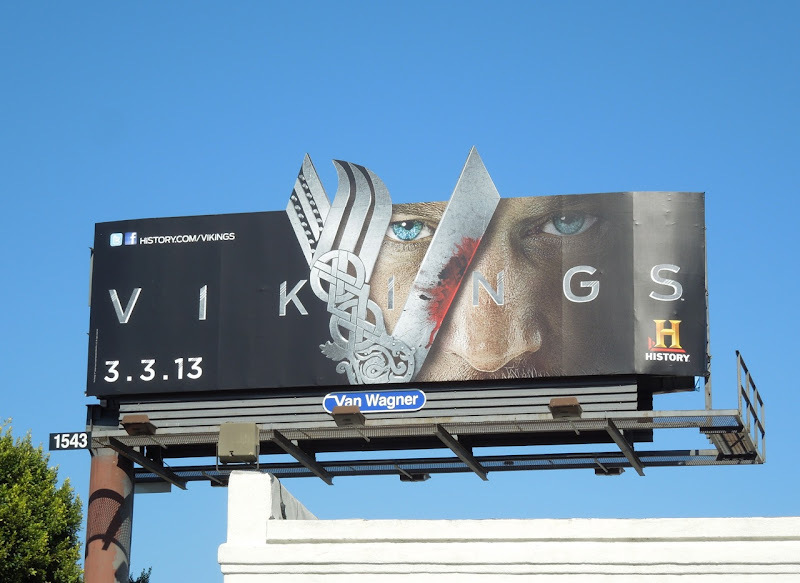 This billboard was snapped along Santa Monica Boulevard in West L.A. on February 25, 2013 replacing the longship special extension. 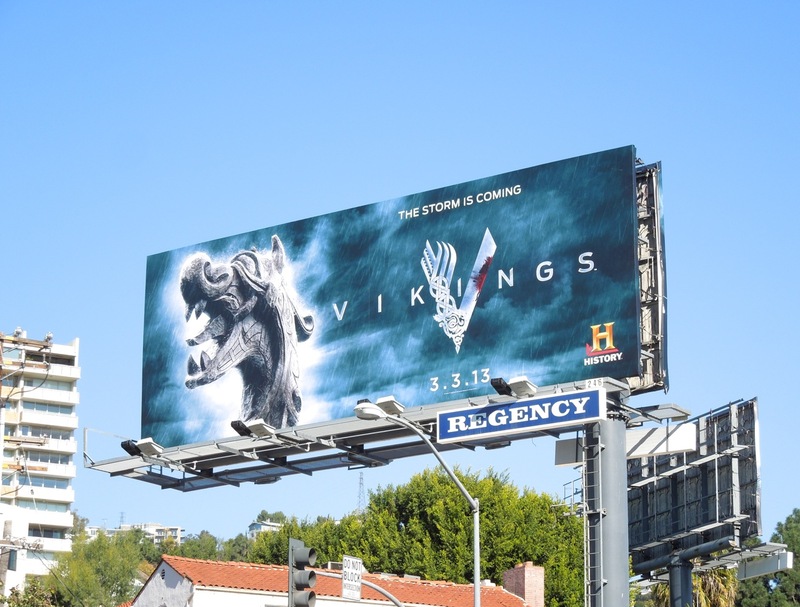 UPDATED: History Channel still seems to be pumping lots of money into promoting its Vikings series, which may be why it has been such a ratings hit. 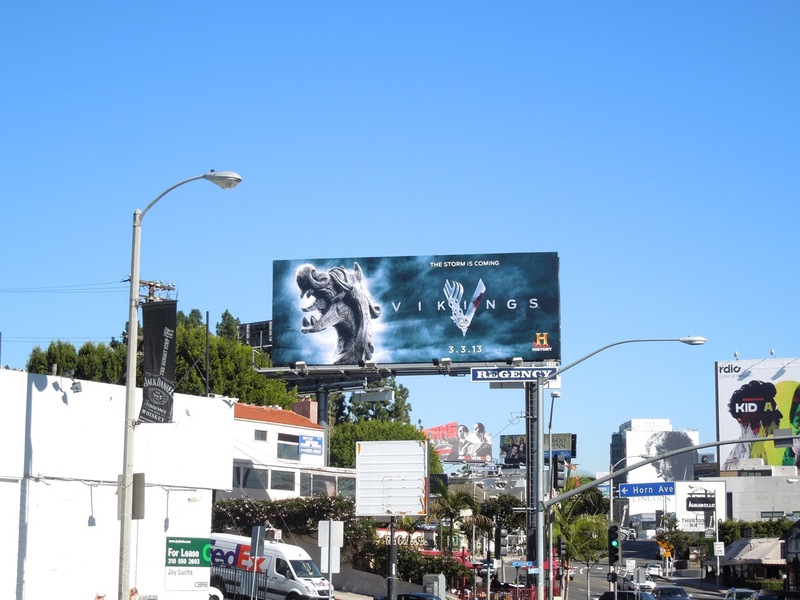 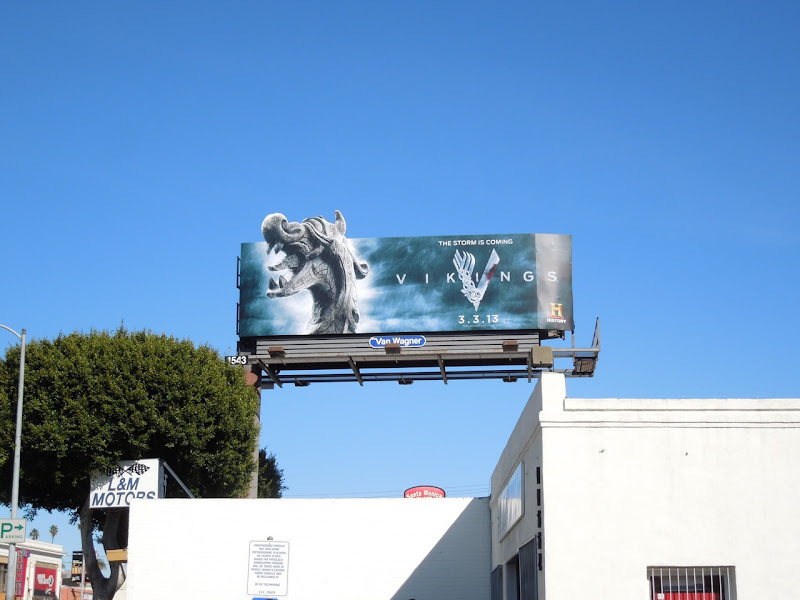 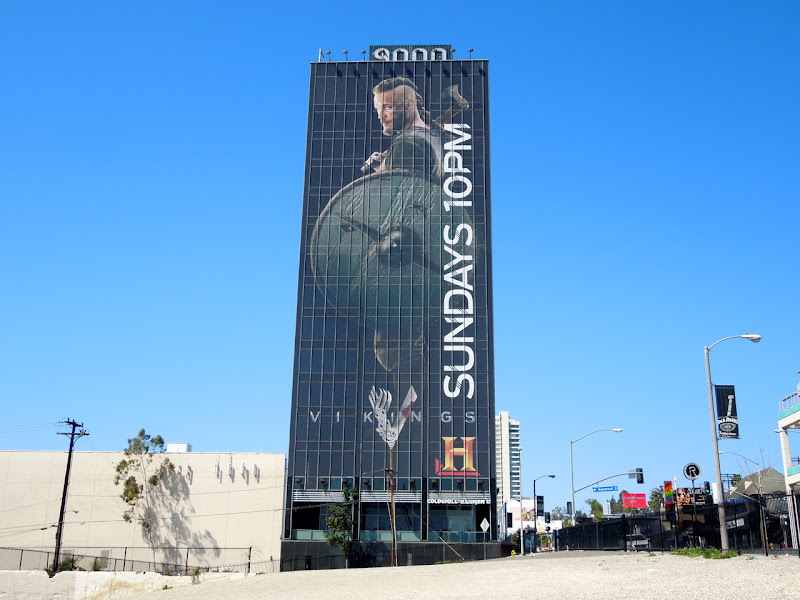 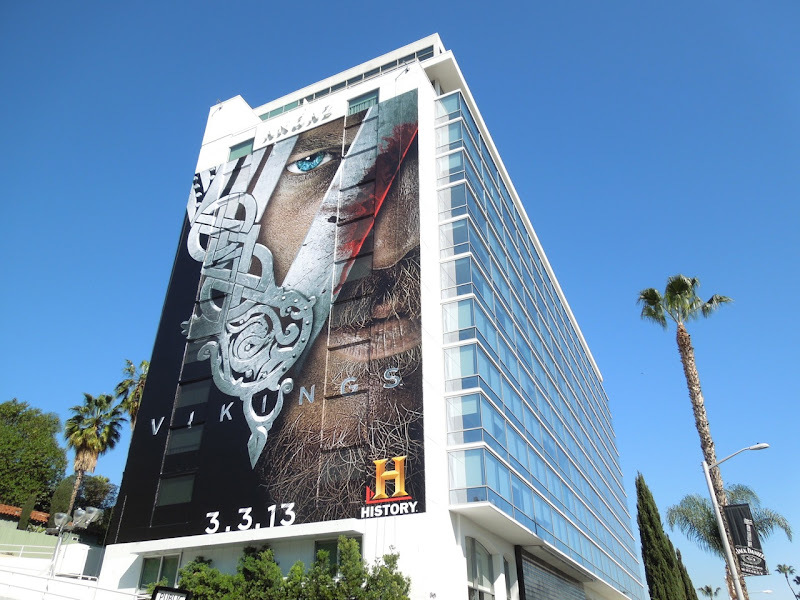 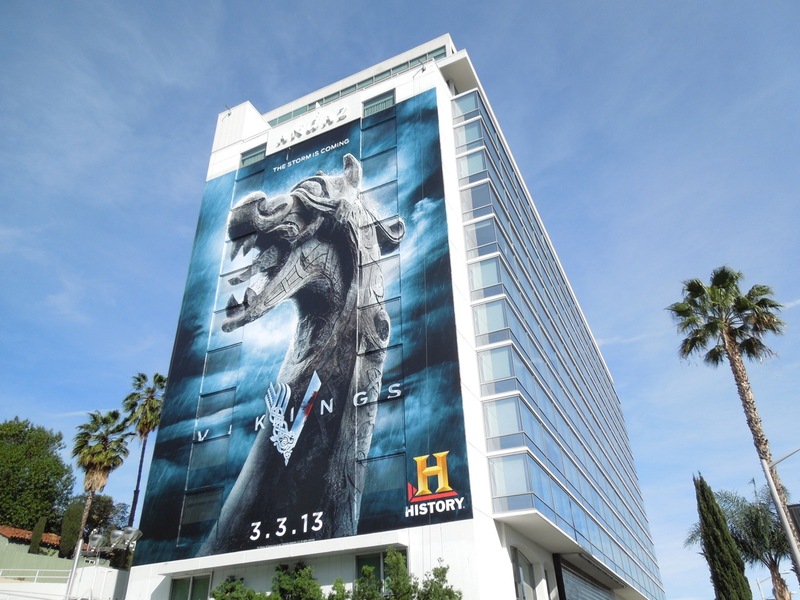 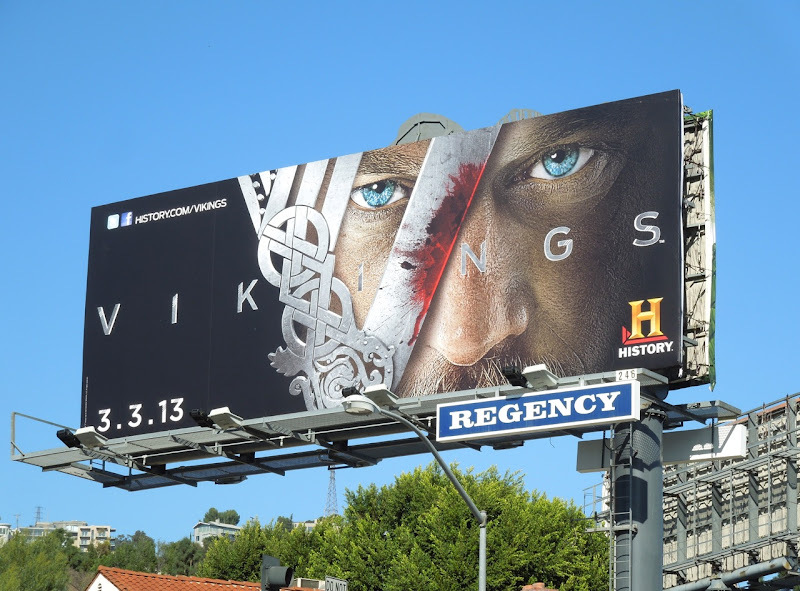 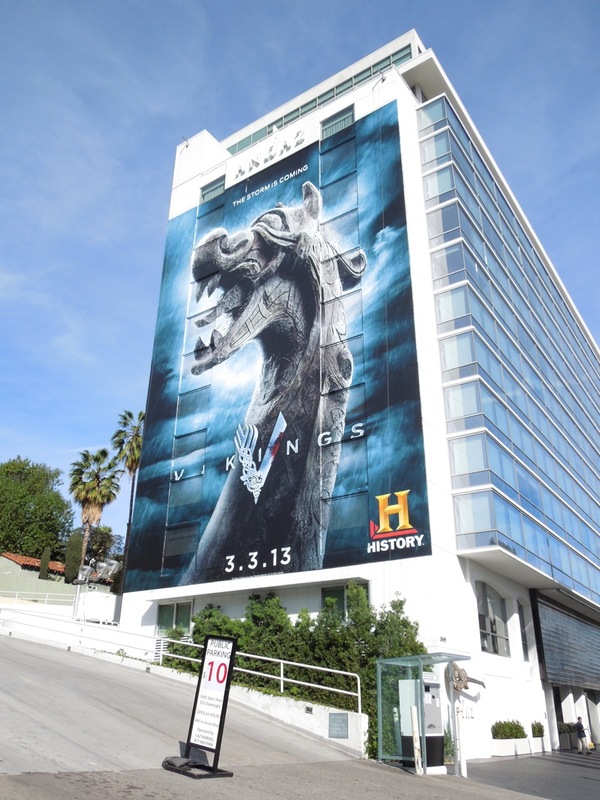 Here's the latest impactful giant billboard featuring Travis Fimmel as 'Ragnar Lothbrok' on the side of the 9000 Building towering over L.A.'s Sunset Strip on March 30, 2013. 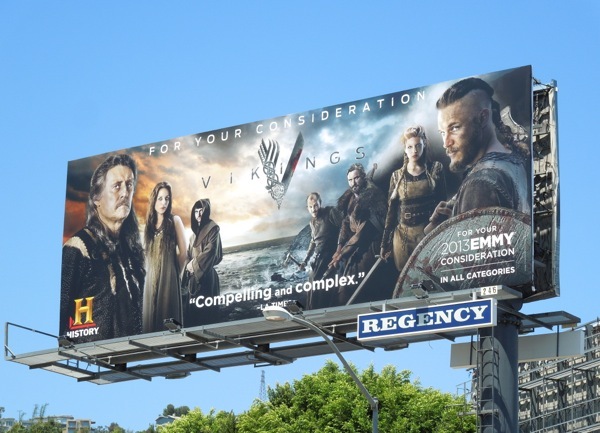 UPDATED: If all those previous season one billboards weren't enough to win you over, here's History's Emmy Consideration ad for Vikings. 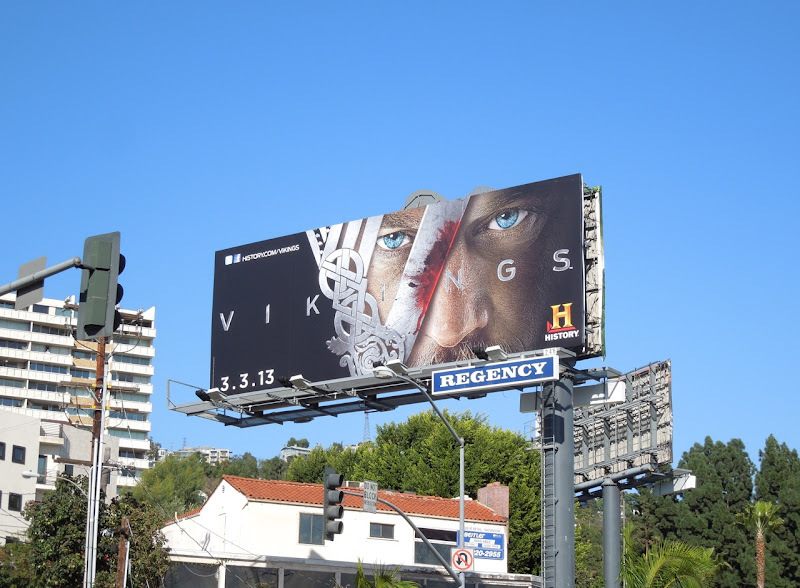 This cast billboard creative was spied along Sunset Boulevard on June 10, 2013. 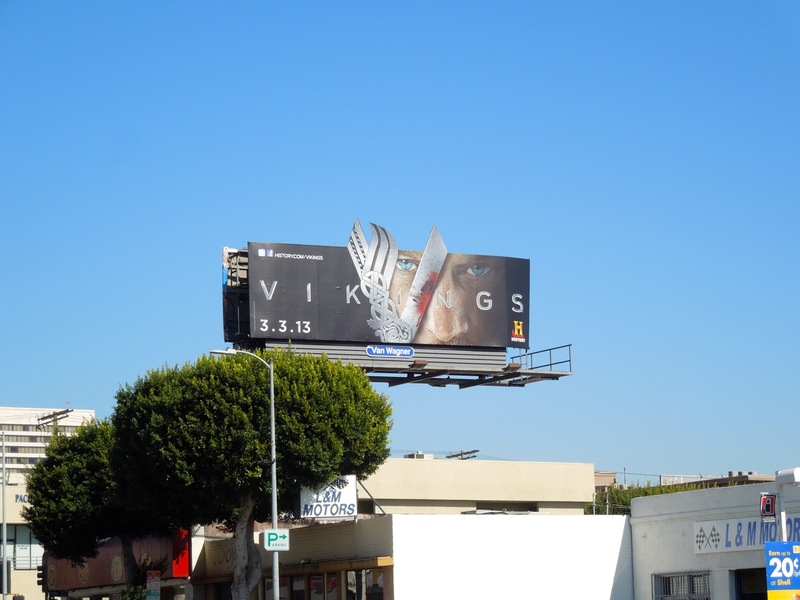 Do you know who the photographer was for this campaign? I can't find that info anywhere! I'm sorry I don't, but whoever it was did a great job!